Show off your work with the RHINO 5200 from DYMO - Designed for professional installers who work in real-world jobsite conditions. Now it’s easier to give your installations a neat, professional look. 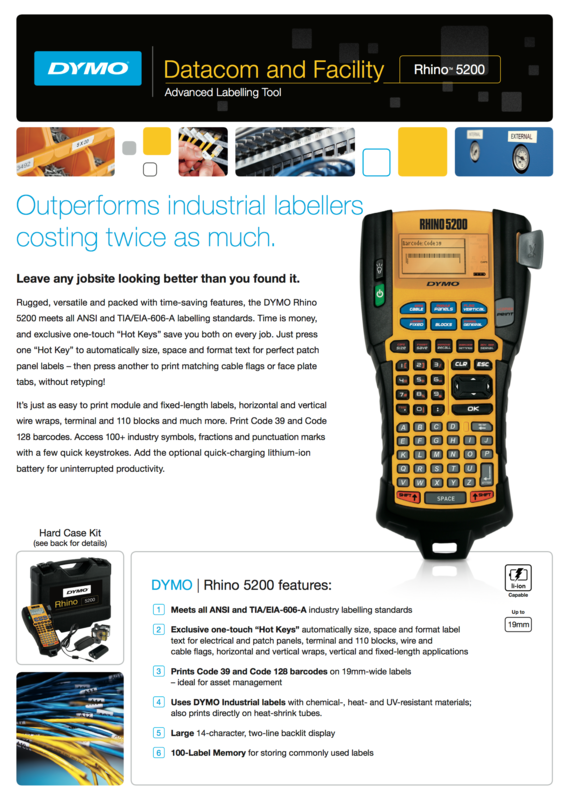 The brand new Rhino PRO 5200 is fast, rugged and packed with time-saving features, helps comply with ANSI/TIA/EIA-606-A standards, and is designed for professional installers in real-world jobsite conditions. 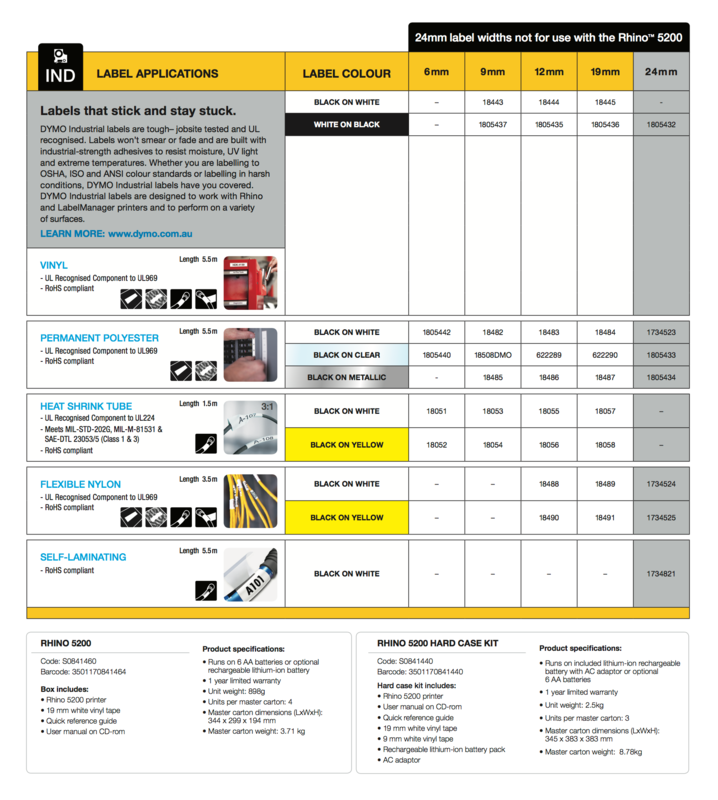 Hot-keys make it easy to print pre-formatted labels for wire and cable, terminal blocks, electrical and patch panels, vertical and fixed lengths. The portable, Rhino 5200 saves you time and money – the unit labels up to 77% faster than the competition. Press one “Hot Key” to format text into perfect patch panel labels; press another to print matching cable flags or face plate tags, without retyping. It’s just as easy to print wire wraps, terminal/110 block labels, barcodes & more.